Oaks Hotels and Resorts has been rewarded by China’s leading online travel agency for its commitment to Chinese guests. The hotel group, part of Minor Hotels, was awarded Best Hotel Partner for Oceania by Ctrip at the agency’s annual hotel awards for 2018 held in Sydney last week. The Oaks group also took out Ctrip’s Guests’ Choice Award Australia and New Zealand, which is based on guest reviews from Ctrip travellers. Timed to coincide with Chinese New Year, the awards acknowledge leaders in the hospitality and tourism industry who have directly and positively contributed to the Chinese travel market. Oaks has developed a number of initiatives to cater and appeal to the Chinese inbound travel segment, including a program catering to Chinese VIPs which provides exclusive amenities, hotel services and lifestyle items. Head of Minor Hotels Australia and New Zealand, Craig Hooley, said: “On behalf of the entire team at Oaks Hotels & Resorts, we are delighted to be recognised by Ctrip across these two award categories for excellence in the Chinese market; it really does reiterate our commitment to this growing market. The brand was last year recognised as an partner by China Ready®, a global accreditation system designed to identify products and services that Chinese consumers can trust. 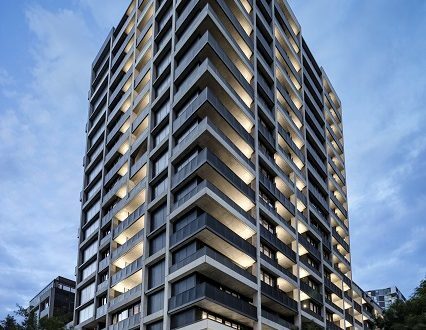 The biggest apartment hotel in the Quest group’s history has opened its doors in Melbourne’s Docklands. Quest NewQuay in Melbourne’s Docklands is double the size of the group’s average property, featuring 221 serviced apartments within walking distance of Victoria Harbour and Melbourne’s CBD. 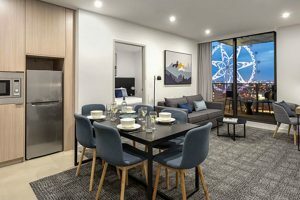 Quest Apartment Hotels’ chief commercial officer, Craig Ryan, said: “The demand for serviced apartments in this area is growing each year and we’re very proud to deliver the City of Melbourne’s largest number of two and three-bedroom apartments. The Docklands has attracted more than $12 billion in private investment as part of its urban renewal plan, steered by the Development Victoria Group. Peppers Noosa Resort and Villas is reaching out to a very different demographic, the luxury property looking to support the Queensland tourist town’s dwindling Koala population through a partnership with the local Koala Habitat Recovery Project. The partnership will see the resort donate $2 earned from every day conference delegate to assist the project with “vital work in protecting this iconic species”. Peppers expects to donate some $15,000 over the course of the year. Next Hotels talk on social media…but are they listening?